Dr Darryll Bravenboer is Director of Apprenticeships and Skills at Middlesex University. His current responsibilities include developing and delivering the University’s strategy as a major provider of higher-level skills in the region and nationally. This includes supporting the development and delivery of higher and degree apprenticeships as well as other aspects of academic enterprise, such as the accreditation of in-company training, in order to provide comprehensive workforce development solutions for employers. Darryll is a Principal Fellow of the UK Higher Education Academy and has extensive experience of developing vocational and work-based higher education provision in response to the needs of a wide range of employment sectors in diverse professional contexts. His research interests include the philosophy and sociology of education, higher education policy, fair access, widening participation, lifelong learning and vocational, work-based and employer-responsive higher education. Darryll is a Member of the QAA Advisory Group for the Higher and Degree Apprenticeships Characteristics Statement. He is also Chair of Middlesex University's Accreditation Board, which includes overseeing the University's approach to individual APEL claims as well as the accreditation of external courses and training activity. Darryll is also a Board Member of the University Vocational Awards Council (UVAC), a Trustee and Board member of SEEC credit consortium, Board member of Linking London. 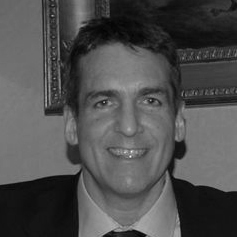 Previously Darryll was Associate Dean and Deputy Director of the Institute for Work Based Learning at Middlesex and before joining the Middlesex, he worked for the University of Hertfordshire in the Faculty of Interdisciplinary Studies as Director for the East of England Lifelong Learning Network. This included specific responsibility for the distribution of HEFCE Additional Student Numbers across the region, Progression Agreements, Curriculum Development Projects and the Creative and Cultural Industries sector. This involved working with eleven HEIs from diverse mission groups and thirty-five FECs, as well as a wide range of regional and national industry and sector organisations and employers to promote progression to higher education through vocational routes. Prior to this Darryll was Director of Higher Education at Croydon College with responsibility for all aspects of higher education provision including: quality assurance and enhancement, HEFCE funding, curriculum development and validation, research and scholarship development, as well as significant partnership working with a range of universities. Darryll's broad ranging experience also includes working as a Senior Graphic Design Consultant with major corporate clients and working in Secondary Schools as a qualified teacher. Dr Bravenboer seeks to deploy his knowledge, skills and expertise to generate innovative responses to the changing landscape of higher education. A sustained, effective record of strategic impact at institutional, national or international level and be committed to wider strategic leadership in teaching. Being 'a highly experienced member of senior staff with wide-ranging academic or strategic leadership responsibilities in connection with key aspects of teaching and supporting learning. Being responsible for institutional strategic leadership and policymaking in the area of teaching and learning, possibly extending beyond my own institution. Dr Bravenboer also has a key interest in the development and enhancement of the transdisciplinary field of professional and work-based learning. He also Chairs the University Accreditation Board which operates to recognise both prior and experimental learning as well as learning from external courses and training. He leads the University's work in developing Higher and Degree Apprenticeships including initiatives in the a range of professional practice sectors including: Construction Management; Retail Management; Commercial Aviation; Creative Industries, Higher Education, Sales. He has also supported the development of apprenticeships in Care Leadership and Management in collaboration with the School of Health and Education. As a member of the Quality Assurance Agency for Higher Education's (QAA) Degree Apprenticeships Characteristics Statement Advisoty Group, Darryll is helping to steer national policy regarding the development and delivery of Degree Apprenticeships. Darryll is also a member of the Higher Education Apprenticeship Trailblazer Group, which has over 100 HE members across the country and has contributed significantly to the development of the Degree Apprenticeship for Academic Professionals. Darryll also acts as a adviser on the Professional Doctorate (DProf) programme at Middlesex, with a particular focus on the DProf by Public Works. Darryll supports colleagues through acting as a Mentor and Assessment Panel Member for the Middlesex University (HEA Fellowship) Recognition Scheme. As an Academic Associate of the Higher Education Academy, Dr Bravenboer uses his expertise to support individuals, teams and higher education communities to enhance the quality and impact of learning and teaching. Bravenboer, D. W. and Cairns, B. and Judson, T. (2009) Development for change. University of Hertfordshire. Bravenboer, D. W. (2008) Progression in practice.University of Hertfordshire. Betts, M. and Bravenboer, D. W. (2008) 'An introduction to the theory and practice of MOVE progression accords.' In: Seminar report on progression agreements and accords. Higher Education Funding Council for England, Bristol, pp. 12-18. Lester, Stan and Bravenboer, Darryll and Webb, Neville (2016) Work-integrated degrees: context, engagement, practice and quality. Technical Report. Quality Assurance Agency for Higher Education.